The Bill and Melinda Gates foundation aims to help reach the Sustainable Development Goals objectives, including ending extreme poverty and combating climate change by 2030. Bill Gates' initiative has become an official Tokyo 2020 Olympics programme. Bill Gates will launch an 'Our Global Goals' partnership with the Japan Sports Agency in an effort to achieve the United Nations' Sustainable Development Goals (SDGs) by publicising them through the Tokyo 2020 Olympics. 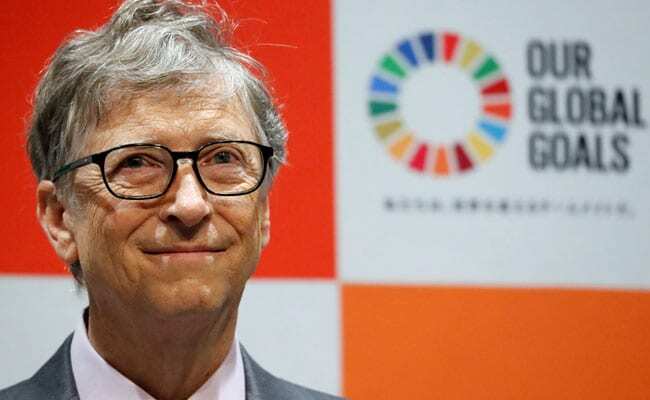 Gates, co-founder of Microsoft and the world's second-richest person, has devoted much of his time in recent years to his family foundation, which aims to help reach the SDG objectives, including ending extreme poverty and combating climate change by 2030. At an event in Tokyo on Friday, Gates said he was linking up with an Olympic Games for the first time to use it as a way to increase awareness of the SDGs and also urged Japan to become a world leader in aid and development. The initiative has become an official Tokyo 2020 Olympics programme. "Countries like Japan will need to continue to invest generously, actually even more generously than they currently are," the 63-year-old Gates said. "Today, Japan spends around 3-5 percent of its aid budget on global health, so there is an opportunity to do even more. "The sports community in Japan is fast approaching an exciting moment, as the eyes of the world will be on Tokyo as the Olympics get nearer," he said. "I am excited that you are using this opportunity to raise awareness and be ambassadors for a better world." Gates, who was joined on stage by Tokyo 2020 President and former Japanese Prime Minister Yoshiro Mori, did not release many details on Friday but plans to launch the programme in 2019 as the buildup to the Games intensified. "The opportunity for Japan is, even in a time when many countries are turning inward, to continue to say that we need to help those that are not doing as well," said Gates. "Continuing to commit to the Global Fund, continuing to commit to increase what they are doing with vaccines and polio is also part of that. "The whole world loves sports and we have to be creative in how we take those amazing achievements and use that to remind people that there are some who are facing big challenges." Gates said in April he would invest $1 billion through 2023 to fund research and development efforts in combating malaria. According to the World Health Organisation, there were 216 million cases of malaria worldwide, causing 445,000 deaths in 2016, the most recent year with available data.